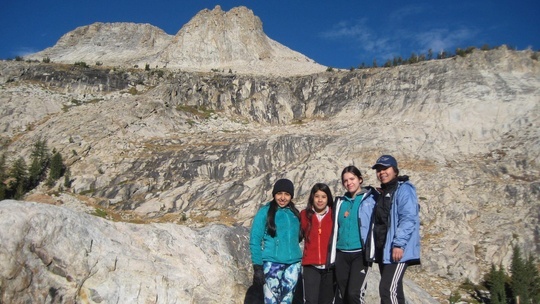 Students from Venture Academy in Stockton had the opportunity to spend four days in the Yosemite wilderness hiking, exploring, relaxing and volunteering. 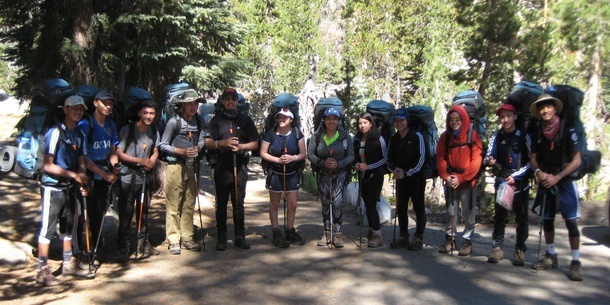 This September, eleven Wildlink students from Venture Academy and their leaders “ventured” away from their home in Stockton for a backpacking trek in the glorious high country of Yosemite. After an exciting pack-out day, the students headed out on the trail. Their excitement was brimming, and their ninety liter backpacks were loaded with everything they need for four days of survival and comfort in the woods. 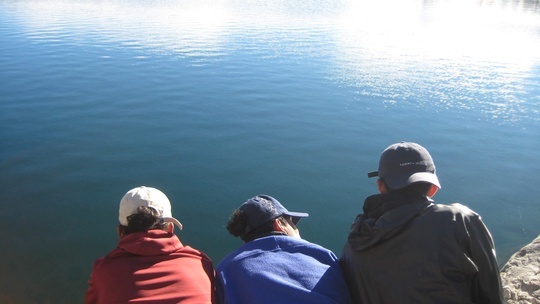 After the relaxing and scenic hike to May Lake, the group set up camp near the lake that would become their home base for the rest of the trip. 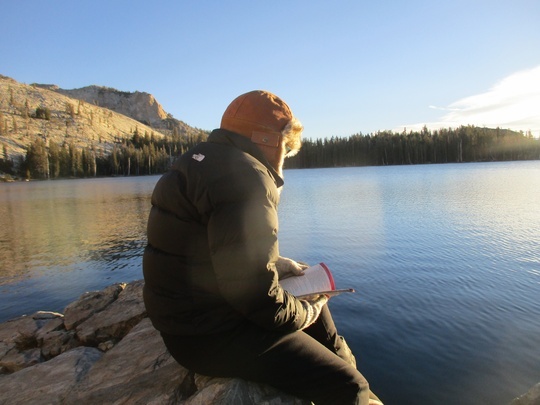 From the campsite, the group explored the surrounding area by first hiking to Raisin Lake just beyond a close-by ridgeline. 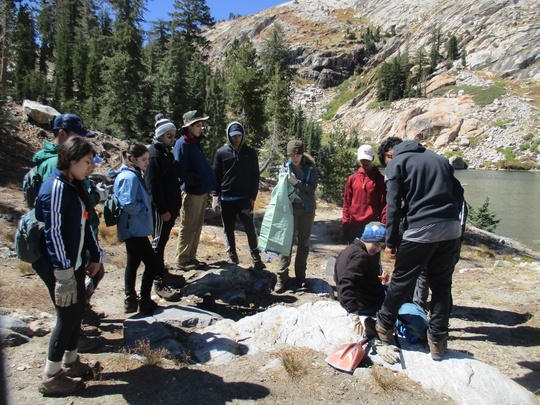 The next day, Ranger Maya came in to facilitate a stewardship project and teach them about what it’s like to be a Wilderness Ranger in a National Park. 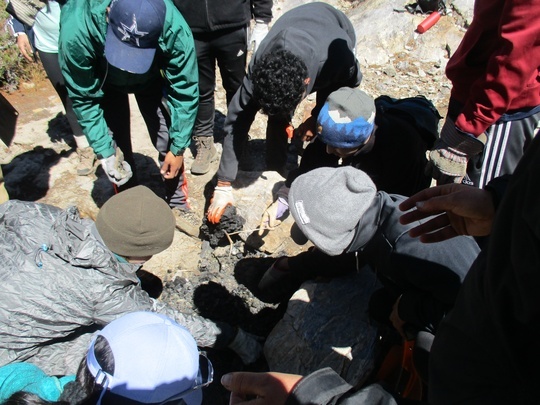 The students helped the park by removing fire rings that did not follow regulations, and fixing up the ones that did. Finally, the trip closed with a challenge hike to the top of Mt. Hoffman, which was a highlight of the trip to many students despite the difficulty. 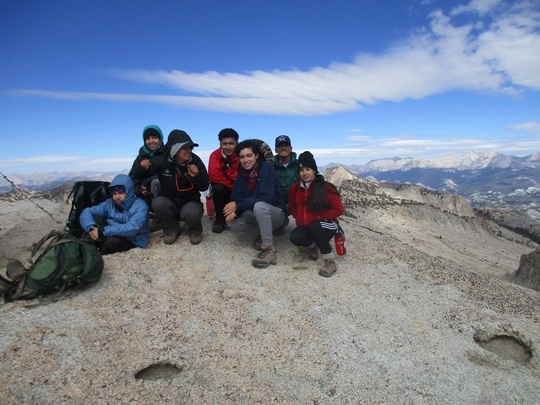 Students and leaders encouraged and supported each other through steep terrain, and reached the top with a cohesive team and stronger friendships. 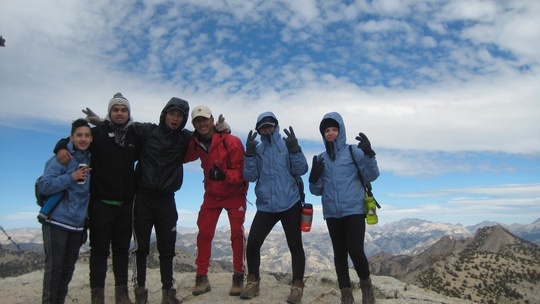 After building up lots of body heat on the scrambly rocky jaunt to the top of the mountain, the student zipped up their layers to block out the intense wind whipping across the exposed summit. 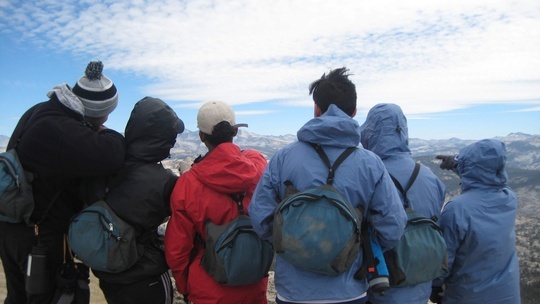 Despite the cold, students were in awe as they experienced a birds eye view of Yosemite along with a deep sense accomplishment. 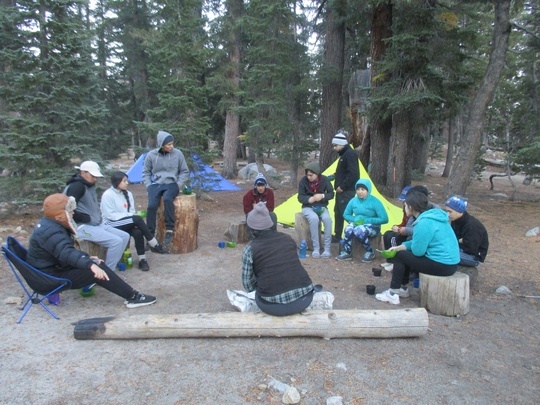 After the students hiked out, they reflected on some of their favorite aspects of the trip, including the bright stars, the surprisingly delicious backcountry food, and the feeling of curling up in a warm sleeping bag after a day of challenging adventure. They plan on bringing stories of their experiences back to Stockton to share with family, friends, and the greater community.